Salli Lunn weave dark magic in the bleak hinterland of guitar-driven atmospherics, stirring in equal parts pop melody and angular noise. Songs rise and fall in vertiginous shifts, carried by thunderous rhythms, skewed guitar patterns and the compelling vocal presence of Lasse Skjold Bertelsen. 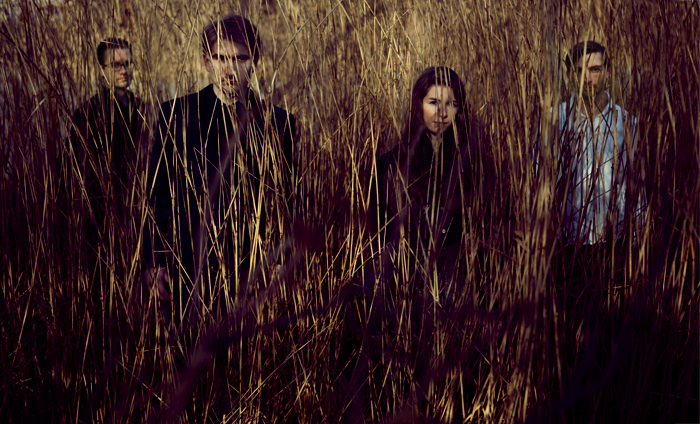 Across the expansive terrain of their debut, Salli Lunn are utterly bewitching. Across the expansive terrain of Heresy and Rite, produced by Jonas Munk (Manual), Salli Lunn are utterly bewitching, weaving dark magic in the bleak hinterland of guitar-driven atmospherics, stirring in equal parts pop melody and angular noise. From the tumbling drums and lurching coda of opener ‘The Frame of Reference’ to the stunning finale ‘The First Cause’, Salli Lunn walk a tightrope between bright-eyed songcraft and shadowy textures that threaten to overwhelm. Songs rise and fall in vertiginous shifts, carried by thunderous rhythms, skewed guitar patterns and the compelling vocal presence of Lasse Skjold Bertelsen, each a superb demonstration of Salli Lunn’s mastery of light and shade. Chiming guitar arpeggios highlight the hope and yearning woven throughout the album, while thick coils of bass, pounding drums and wrenching chord changes deepen the atmosphere of foreboding and menace. The album was mixed and produced by Jonas Munk (Manual, Causa Sui) and mastered by Anders Schumann (Oh No Ono, Decorate Decorate, Death By Kite). 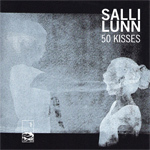 Salli Lunn formed in 2001 in the Danish harbour town of Frederikshavn. Three of the four members – Lasse Skjold Bertelsen (vocals and guitars), Line Grønbech (drums and percussion) and Christian Blæhr (guitars and keyboards) – have played as a band for nearly a decade, recently joined by Jan Nissen (bass) to create a line-up that is musically adroit as it is dynamic and powerful. With members of the band playing in other acclaimed acts The Late Parade, Death By Kite and Amber, it is only in recent years that the music of Salli Lunn has received the devotion it demands. 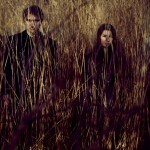 Salli Lunn have supported numerous acclaimed international bands, including Jeniferever, USA Is A Monster and Extra Life. Songs from Heresy and Rite were debuted in Copenhagen and Aarhus in the spring of 2009, where the magazine Soundvenue booked the band for a number of shows. The album was produced and mixed by Jonas Munk (Manual, Causa Sui) and mastered by Anders Schumann (Oh No Ono, Decorate Decorate, Death By Kite). 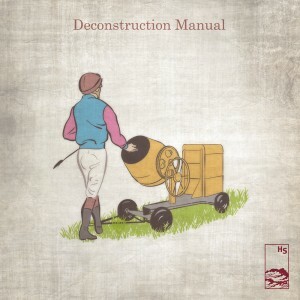 Hidden Shoal is proud to announce the release of the new EP Deconstruction Manual featuring remixes of Hidden Shoal artists by Murdoch University Sound students. 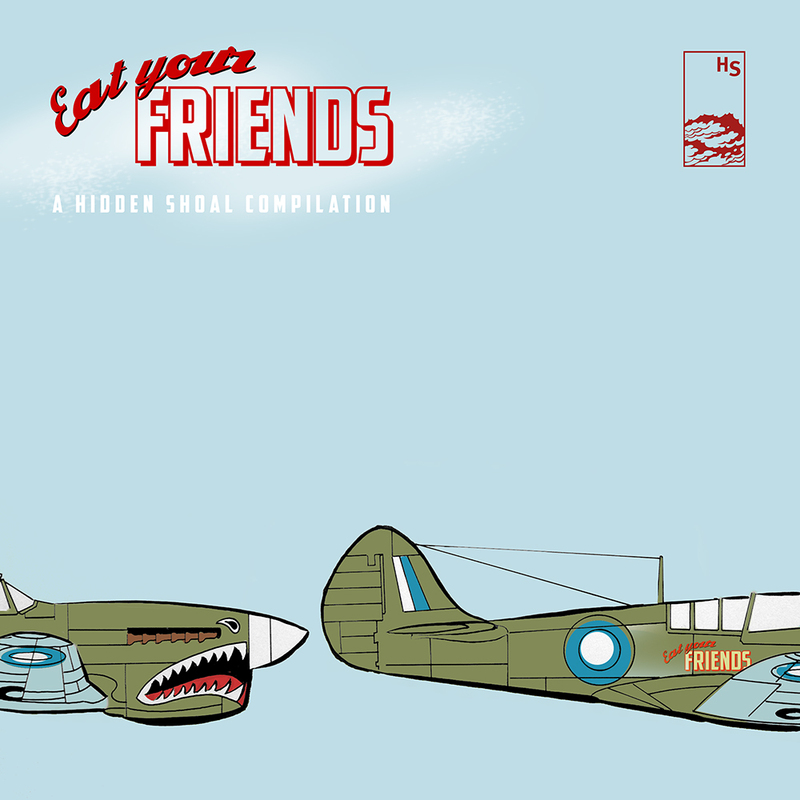 The EP is available as a free download via Hidden Shoal’s Bandcamp. Download the full press release here. Skybreaker’s remix of Slow Dancing Society’s ‘I’ll Leave A Light On’ throws the original into an industrial thresher, transforming its calming piano and nylon-string guitar into a juddering nightmare of synths and snarl. Karl Ockelford’s ‘Greylands’ renders source audio from Antonymes, Boxharp, Gilded and Salli Lunn into an expansive, glowering horizon of drones, strings and distortion. Finally, Lövmark’s reworking of Antonymes’ ‘Doubt’ immerses Jan Van Den Broek’s monologue within patient, melodically rich minimal electronica. Skybreaker is the moniker of Hadyn Lander, a versatile multi-instrumentalist and game designer whose influences range wildly from ’60s jazz-rock to modern electronica. Karl Ockelford is a musician and visual artist who has been working in and around the Perth experimental music scene for the past 15 years as part of Sub Ordnance and Abe Sada, and also releases music under the moniker Reluctant Carnivore. Lövmark is an electronic music producer hailing from Northern Sweden, now based in Fremantle, whose influences range from heavy metal to down-tempo bass music. 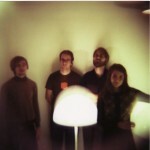 Hidden Shoal is excited to announce the release of single ‘50 Kisses (TV-Baby Remix)’ by Danish spectral noise-rock quartet Salli Lunn, taken from their recently released album A Frame of Reference, which comprises remixes of songs from their debut album Heresy and Rite, plus all-new songs. ‘50 Kisses (TV-Baby Remix)’ sees the previously unreleased track from the Heresy and Rite sessions reworked by Denmark’s TV-Baby as a driving, lo-fi chase scene. The track hurtles through your brain like a delirious late-night panic attack, rapid-fire beats ricocheting against woolly bass surge, disorientating echoes and electro squiggles. Then, in its closing seconds, a gorgeous coda of chiming interwoven guitars lulls you to a narcotized sleep, the chaos of the preceding minutes a distant dream. ‘50 Kisses (TV-Baby Remix)’ is taken from remix album A Frame of Reference, which also includes single ‘Mirror Girl (Scott Solter Remix)’ and remixes of Heresy and Rite tracks by Markus Mehr, City Of Satellites and Manual. Previously unreleased track ‘White Sight’ rounds out the album in fine style. ‘50 Kisses (TV-Baby Remix)’ is available for free download from the Hidden Shoal Store. A Frame of Reference is available as an exclusive digital release through the Hidden Shoal Store and all good third party online stores. Album Heresy and Rite is also available worldwide in CD, vinyl and digital formats through Hidden Shoal Recordings. Salli Lunn’s awesome A Frame of Reference has made a sweet dent in the latest KJHK (Kansas) top 30, sitting pretty at number 8! A Frame of Reference by Danish spectral noise-rock quartet Salli Lunn comprises remixes of songs from their stunning debut album Heresy and Rite, plus previously unreleased tracks. Stream it and grab it here. Lots of lovely US college radio action happening for our current round of releases. Here’s a run down! 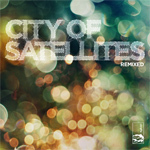 City of Satellites Remixed is one of WRSU top 5 RPM adds and Kramies The European is one of the top 5 Radio 200 adds, Salli Lunn’s A Frame of Reference and Kramies’ The European are in Bagel Radio’s top 5 CMJ adds this week, The Caseworker’s Letters From The Coast continues its long term camp in the Bagel CMJ top 30 charts, Salli Lunn’s A Frame of Reference gets a top 5 CMJ rotation add at KJHK and City of Satellites and Kramies are both charting in the 3WK CMJ top 30. Nice! 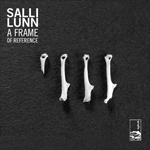 Salli Lunn "A Frame Of Reference" Remix Album Out Now! 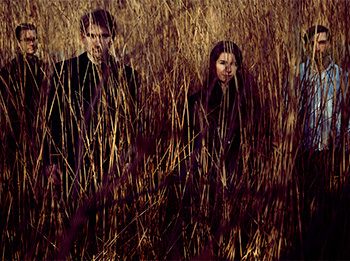 Hidden Shoal Recordings is excited to anounce the release of album A Frame of Reference by Danish spectral noise-rock quartet Salli Lunn, which comprises remixes of songs from their stunning debut album Heresy and Rite, plus all-new songs. The album kicks off in fine style with Scott Solter’s remix of ‘Mirror Girl’, on which the in-demand producer, musician and remixer pares back the original’s spidery postpunk guitars to bring a lurching industrial rhythm section to the fore. Markus Mehr’s dizzying take on single ‘Parachutes Forever’ brings sizzling amp hum into juxtaposition against a double-speed guitar loop, snatches of the main groove, and Lasse Skjold Bertelsen’s vocal, while City Of Satellites transform ‘Fast Cars, Clean Bodies’ into a dreamy electro-rock night cruise. Heresy and Rite producer Jonas Munk (Manual) takes on ‘The Invention of Steel’, rendering the song a brilliant, cascading and hypnotic krautrock jam. Previously unreleased track ‘50 Kisses’ is reworked by TV Baby as a driving, lo-fi chase scene, while ‘White Sight’, also previously unreleased, rounds out the album in fine style, with its main riff simultaneously drunken and laser-guided in intensity. A Frame of Reference is available as an exclusive digital release through the Hidden Shoal Store and all good third party online stores. Album Heresy and Rite is also available worldwide in CD and digital formats and for the first time is now available through Hidden Shoal on vinyl. 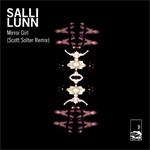 Be sure to check out the awesome music video for Scott Solter’s remix of ‘Mirror Girl’. Salli Lunn’s music is available for licensing (master & sync cleared) through Hidden Shoal. Please contact us with some basic details about your project and the track(s) you wish to use and we’ll be sure to get back to you straight away.